Fighter Aviation Spoken Here — Check 6 and 12 ! 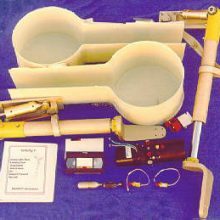 E-Glass and Carbon Hinges from Barrett / Garrett Enterprises, Inc.
INFINITY Aerospace also designed and produced the Retractable Main Landing Gear prototype for the Glassic Composite ( now company is renamed KLS — now out of business ) prototype SQ 2000 ! 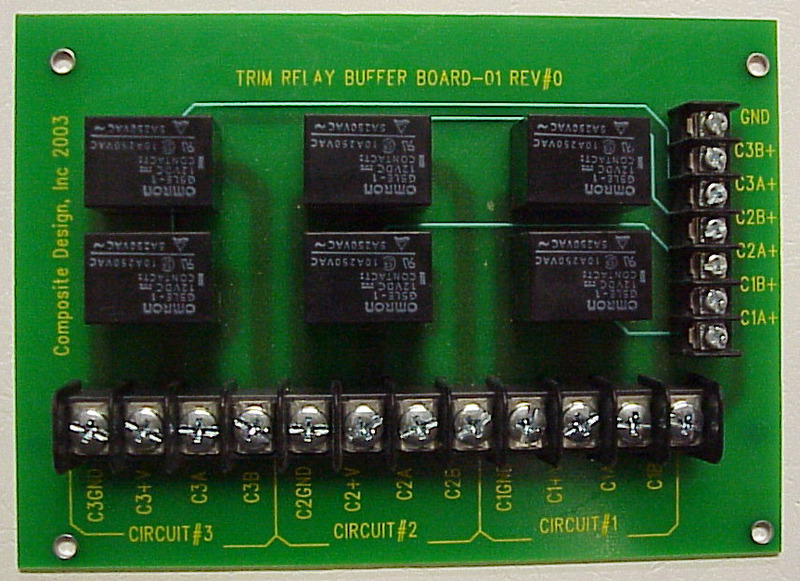 We also designed the original 3400 lb. 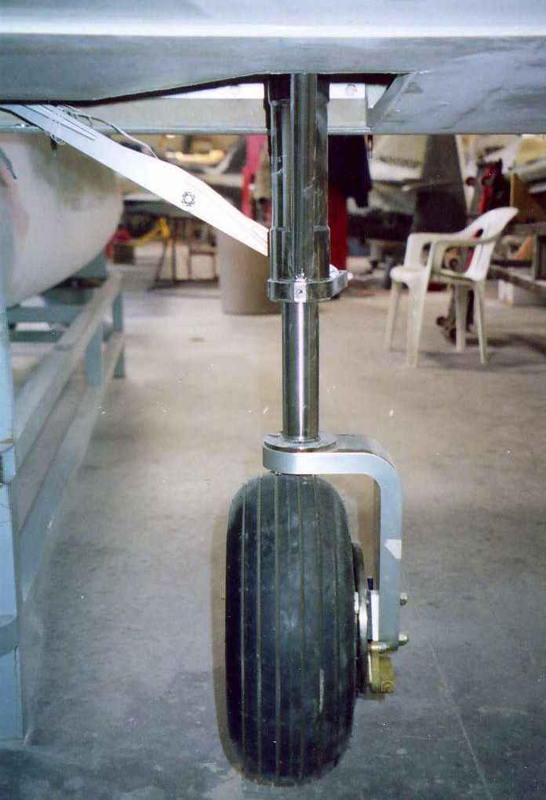 GW Maverick Twin Air prop aircraft Retractable Oleo Strut Main Landing Gear ( we didn’t do the nose strut ). To see two *.jpg pics, for a close-up, and for a 3/4’s view. 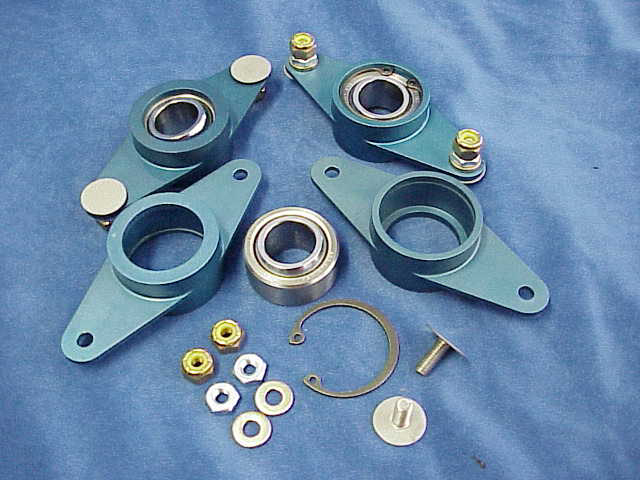 We also designed and had made the prototype set of retracts for the 4560 lb. 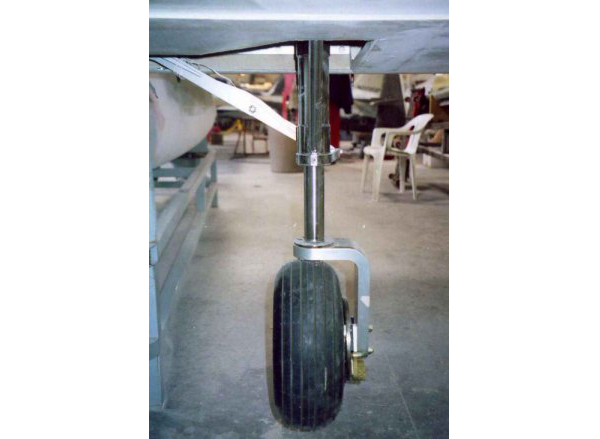 GW, 700 HP turbo-prop powered, Orion-TS Retractable Oleo Strut Landing Gear for Orion Aviation. 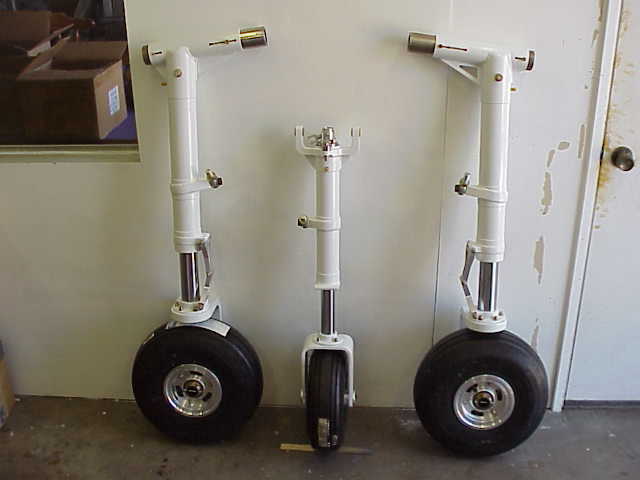 We also designed the Retractable Oleo Strut Landing Gear for the 6300 lb. GW, 700 HP turbo-prop powered, Golden Arrow for Abaris Aircraft. We also designed the Retractable Oleo Strut Landing Gear and outriggers, and had 3 prototype sets made, for South Korea’s NASA’s 2425 lb. 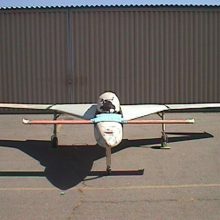 GW Smart UAV: http://www.youtube.com/watch?v=wHW8_bEJN2Y&sns=em. We should be starting a Retractable Oleo Strut Landing Gear design, then production, for a 12,500 lb. GW sub-orbital aircraft soon. 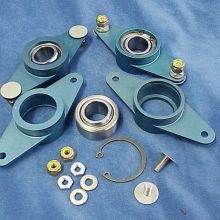 We are the designer and manufacturer of Retractable Oleo Strut Landing Gear for 2 major aerospace companies for aircraft under 12,500 lbs. Gross Weight. Many more designs are forthcoming ( all designed per FAR Part 23 ). Contact us ANY afternoon Pacific Time M-F if you need Retractable Landing Gear designed ( using Solid Works 3D CAD program, and COSMOS Works FEA ) and / or manufactured ( using the latest CNC mils, lathes and CAM Software available ) for your custom design. If you want to contribute to our acquiring a CNC mil, CNC lathe, tooling and CAM software which would make my, and your, landing gear and aircraft parts less costly, let us know. Category: Featured Products. Tag: Custom landing gear. Designed by INFINITY Aerospace , the Infinity 1 High Performance Quick Build Kit Canard Sport Aircraft offers one of the largest cockpits in its class, with 80 cubic feet of interior passenger volume. Headroom is 36.0 inches in the front and 35.0 inches in the rear seats. At only $39,995.00, the Infinity 1 pre-preg and vacuum bag High Performance Quick Build Kit Sport Aircraft comes equipped with ALL airframe parts and hardware; wings, winglets and canard come complete in primer paint, pre-molded bulkheads and ribs, fuselage and strakes ( top and bottom ) pre-molded in primer paint, as well as antennas, conduits and heat ducts installed. This means the basic VFR Infinity 1 can be completed in only 600 to 1000+ hours! The Infinity 1 also sports two of the most innovative designs in canard aviation. An electro-hydraulic retractable tricycle oleo strut landing gear comes standard with all Infinity 1 Quick Build Kits. Boasting a 46 degree Turn-Over Angle ( TOA ), the oleo retract gear design has been drop tested at 2200 lbs. per FAR’s with the fuel tanks full of water, and is U.S. and Canadian FAA approved. A steerable oleo nose strut with Lamb size tire also is standard. 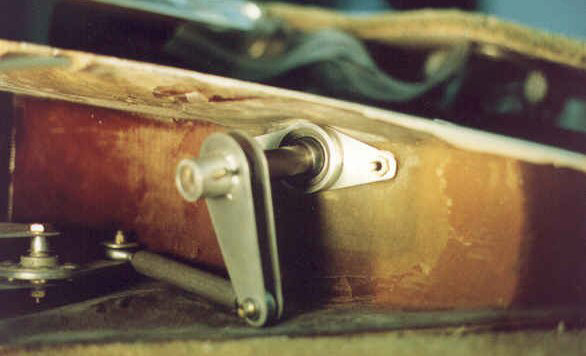 This nose strut is designed to retract on deck and set the aircraft on it’s nose for easy ingress and egress for both the pilot and passenger(s). Current design options for the Infinity 1 include mounted baggage pods and pylons. These pods and pylons provide an additional 5+ cubic feet of cargo space. Added to the standard 20 cubic feet in the strakes and cockpit, this gives the Infinity 1 well over 25 cubic feet of baggage area. If you’re looking for the best in aviation products, continue looking to INFINITY Aerospace . Behind our name lies a philosophy of maintaining an international viewpoint, and remaining dedicated to supplying aviation products of the highest quality, yet at a reasonable price for worldwide customer satisfaction. The final prototype is complete except for the Big Buck items — the instrument panel, and the firewall aft. Check out this link for MANY more details = What Else? 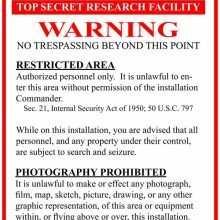 People are always commenting on my Area 51 poster in my office window and asking,”is this that place I saw on ’60 Minutes’ or ’20/20′ ?”. And I would answer, “Yes! “, then close my office door — LOTS of laughs!! EVERY respectable Sport Aircraft builder should have at least 1 of these 24″ x 36″ color posters in their shop ; only $11.00 each via cash, check or money order / $11.50 each via credit card price, plus S & H, and CA Sales Tax ( if you live in CA ). The Infinity 1 Retractable Oleo Strut Main Landing Gear also fits other Canard aircraft ; i.e — fits the Long-EZ (LE), Cozy III, Cosy, Cosy Classic, Cozy MK-IV and AeroCanard . 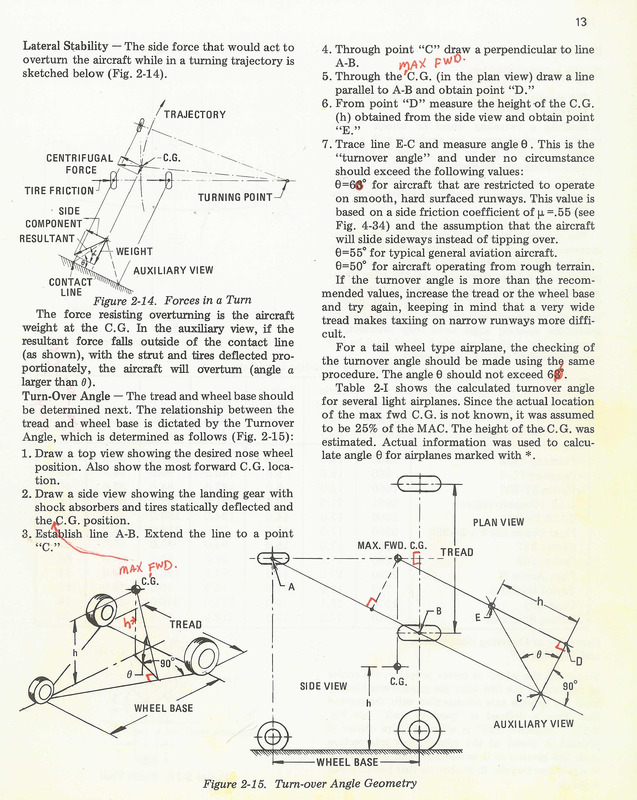 BUT, it will NOT fit the E-Racer, Berkut nor Velocity because their center section spar is not a LE box style spar, and the E-Racer spar must also be lengthened at least 18″ ; does not fit the Vari-EZE or Speed Canard ( wrong kind of center section spar, and their spar is too short ); or Defiant and Velocity ( besides their spars, the planes GW is too heavy ) — sorry. 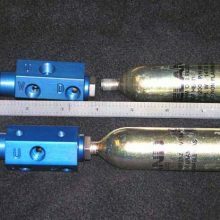 Emergency Release Valve and CO^2 Blow Down Bottle ( click here for a *.jpg pic ) — used as the Emergency Backup like the airlines and the military do in our Infinity 1 for lowering the retractable landing gear. Also being used in the Viper Jet, Glasair’s, Lion Heart, Radial Rocket and other Sport Aircraft. Just turn the ‘T’ handle clockwise to release the UP hydraulic pressure back to the tank / reservoir / or overboard, then continue to turn the ‘T’ handle to puncture the 850 PSI / 5 gal. vol. 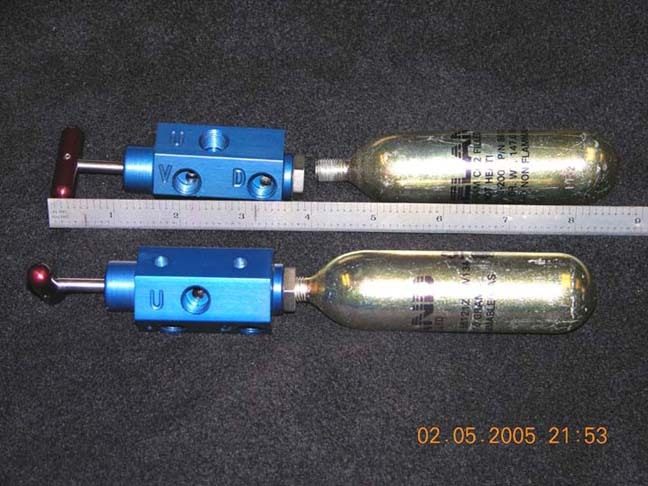 / ~1″ OD x ~4.5″ long / 38 gram with a 3/8″ x 24 pitch straight thread CO^2 bottle — the Emergency Release Valve is only $200.00 each via cash, check or money order / only $208.00 each credit card price, and the CO^2 Blow Down Bottle is only $25.00 each via cash, check or money order / only $26.00 each via credit card price, plus S & H , and CA Sales Tax ( if you live in CA ). 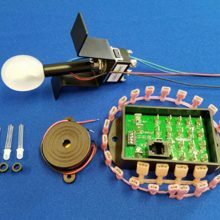 Canard and Non-canard GREEN / RED / BLUE lighted Retract Handle with DPDT Lever Lock Gear Switch ( 12 VDC / 7.5 amp ; or 24 VDC / 4 amp ) — when the gear is DN, the gear handle LED light is GREEN ; Gear in Transit or is Unsafe — or the Canard Retract Handle and Switch is in the Center OFF position — the LED light in the gear handle is RED ; Gear UP the gear handle LED light is OFF, or BLUE like amphibian and float planes do ( your choice ). Only weighs 3.3 oz. For certified aircraft, you simply get a FAA Field Approval / 337 . We don’t mean to upset you by asking you to read everything on my Stick Grip pages, but we offer a HUGE service to our customers ( no one else in the world does this ! ) by offering 65,536 switch combinations of Right and Left Hand matching Military Style Custom made Stick Grips, wired up with the switches of your choice, for only $200 / $208 cc each — ONLY ones like them in the world ! These Stick Grip pages are VERY helpful to you in figuring out which kind of switch you want in which position of your Custom Stick Grips. In fact, probably 99.99+% of all your questions are answered on our web site. 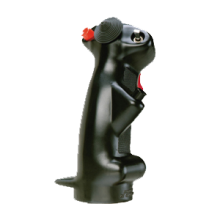 We have years of experience ( since Jan. 1994 ) in making our Stick Grips for thousands of customers, for thousands of aircraft, and hundreds of applications, world wide. If you just pick up the phone to order without knowing which switches you want in which positions, you’ll end up spending a bit of time going back and forth on the phone researching out your needs and options. The intent of my Stick Grip pages is to save you ( and us ) time and $money$ 🙂 . Soooo, PLEASE thoroughly read through all the information in the tabs below to help you figure out what switches you want installed in which positions in your Custom Stick Grips, extra length of cable you may want ( ~2.5 / ~76.2 cm feet of cable out of the bottom of the Stick Grip is standard ), whether or not you will need a spacer(s), and what size spacer you need, or order our ergonomic Stick Grip Pivot Spacer, co-pilot isolate switch, relays, and more. Again, thank you ever so much for your understanding and support ! Our Stick Grip Pivoting Spacer ( SGPS ) is mounted into the ID of your stick tube which allows our / your Stick Grip to pivot ~+/- 45° from center for better forearm to wrist ergonomics, and for MUCH better comfort WHILE you fly ! 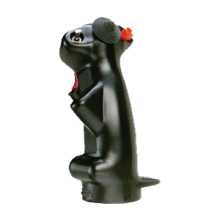 You will even be able to flip your Stick Grip around to fly with your other hand giving your primary flight hand a rest. 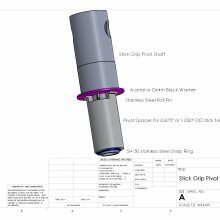 My / your Stick Grip Pivot Spacers ( SGPS ) are for ~0.875″ OD and ~1.000″ OD stick tubes. Also, the SGPS will come with (3) 6/32 Stainless Steel Button-Head Socket Cap Screws, (3) 6/32 stainless steel Nord-Lock Wedge Lock Washers, and 1 stainless steel Snap Ring, all for mounting. Click here for how to install your SGPS. Cost is only $75 cash or check / only $78 cc each, plus S & H.
[ 5/8″ spherical bearing ID ] and light weight housing for Flight Controls and Wing Root Aileron Bearings ( *.jpg ) for Canards, with installation hardware, instructions and pictures ( each entire assembly weighs only 2.9 oz. ) — only $50 each via cash, check or money order / $52 each via credit card price, plus S & H ( click here for an assembly pic ). INFO — I’ve looked at a few different plastic spherical bearings over the years in the hopes of finding something so I would not have to make my present Spherical Bearings for my Infinity 1 Wing Roots and Flight Controls. I even purchased the Triangle, Mfg. 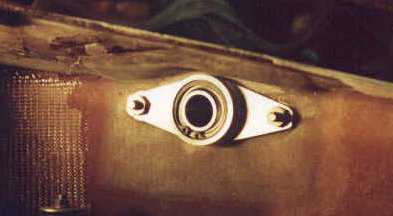 FMN10 nylon spherical bearing that are contained in a flanged, stamped metal cage ( looks like metal that is used to make a soup can ) that both Aircraft Spruce and Wicks sell, that a few say to use for your canard plane. But, after getting them, I concluded I wasn’t wild about having plastic bearings in my engine compartment ( in the wing roots OR on the firewall — even though there is a t h i n fire barrier at the wing root ). Also, upon close examination of the workings of this plastic ball, when this plastic ball is *forced* to rotate, the pot metal tangs the pot metal housing is made from ( like what’s used for soup cans ) holding the ball, the tangs bind on the ball and shaves the plastic ball ! So, in time, the ball will rattle causing stick slop and probably flutter, and the tangs can still dig in causing binding ( maybe others aren’t as picky as I am :-\ ). So any who, I didn’t like this either. Therefore, I use my Spherical Bearings for my Infinity 1 Wing Roots and Flight Controls — so should you ! MANY ( most ) already do 🙂 . You can park your plane(s) in front of our hangars and office here on Gillespie Field (SEE). © 2019 Copyright INFINITY Aerospace. All Rights Reserved.